Jan-Jan Van Essche was born in Antwerp, Belgium where his design studio is currently located. A 2003 graduate of the Antwerp Royal Academy of Fine Arts, he is an alumnus along with many other designers like Dries Van Noten. However, it wasn’t until 2010 that he launched his eponymous label as an annual ‘wardrobe’. His first collection “Yukkuri”, Japanese for ‘take it easy’ or ‘slowly’, established the conceptual approach he follows when creating contemporary ensembles. Van Essche creates a single collection each year, rather than producing specific collections for each season, for a number of reasons. Of the simplest to explain, is the fact that he doesn’t want his work to be dictated by the fashion industry. He also wants to have the freedom to take time out of the year to work on collaborations or projects with others, instead of focusing on separate lines year-round. His other intentions lie in creating garments with multiple purposes. Each piece can be layered up or down to serve its function through the entire year because he doesn’t believe in the idea that people need separate wardrobes for every season. As far as design is concerned, Van Essche’s work remains simplistic because he believes clothing should be freeing. This is why every garment is created in such a way that minimizes the number of seams needed, and they are also constructed with effortless silhouettes. 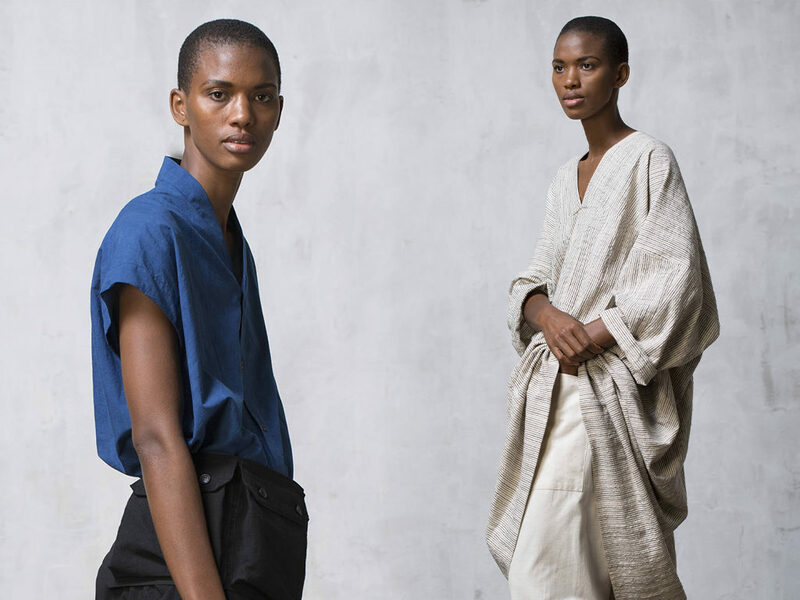 While the Western approach to fashion dictates that garments confine and shape the body, through his cautious studies for every season, Van Essche has found that many clothes from different countries depend on the wearer’s body to define how they look. He wants his clothing to take a humble roll in helping those who wear it find connection and acceptance, so it makes sense why his clothes are so forgiving. At his core, Van Essche designs clothing that is open to interpretation and can be worn however one desires. The only limitation is one’s creativity or personality. By extension, much of his work maintains a genderless elegance, allowing women and men to explore new clothes they may not have otherwise, in hopes of opening their mind and liberating them all at once. His newest collection titled, “One in All and All in One”, exemplifies everything he stands for perfectly. Rather than his label becoming something that defines a person, he wishes for the people who wear it to characterize his work. It isn’t uncommon for people to use fashion as a shield. But Van Essche doesn’t want his work to function in that way, and he prefers to give others a base to build on, or a way to interpret his work and let their own personality shine through. This is why in spite of the fact he often takes inspiration from other cultures, the influences are not obvious but conveyed through the simple details in each piece. 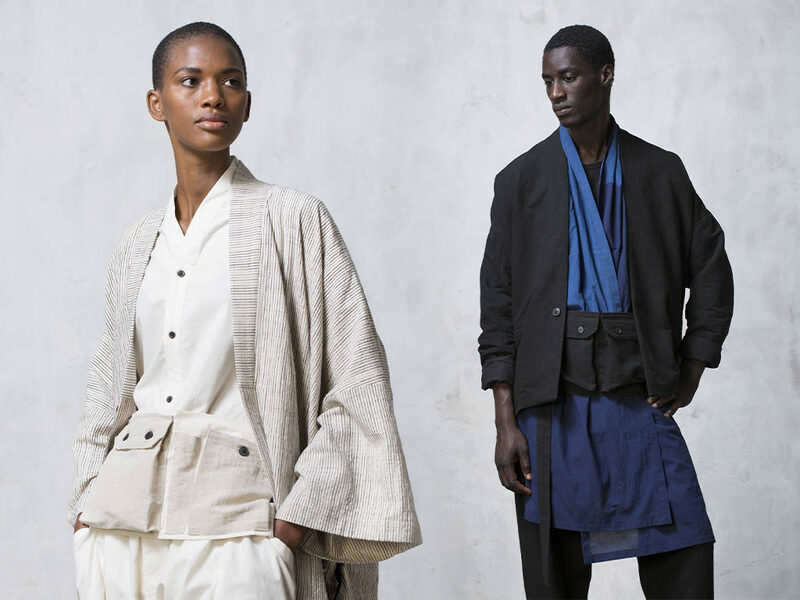 When looking at his previous collection, titled 無 or “mu”, even without the styled photo shoot it is easy to see the Japanese and Korean influences from the cut of each jacket to the fit of a pant. His work isn’t blatant about its inspiration. Instead, Van Essche takes the essence and transforms it through his unique lens. And astonishingly enough, his work manages to remain minimal without feeling cold. It’s interesting how often influences — especially when it comes to cultural influences — carry the potential of becoming too obvious. What begins as inspiration can become closer to treating the culture as a costume, when designers choose elements simply based on their aesthetic or ‘exotic’ qualities. The most interesting thing about Van Essche’s work is how he effortlessly takes characteristics of garments and transforms them into something else entirely while keeping the soul intact. Qualities from traditional pieces are simplified and reconstructed with modern ease and the highest amount of respect.